“Beirut was, and is, a very real place,” journalist Samir Kassir wrote in his mammoth history of Lebanon’s capital, “whose playfulness and love of show and spectacle fail to conceal its inner seriousness.” Kassir was killed in a car bombing in June 2005, three and a half months after the former Lebanese prime minister Rafik Hariri’s own assassination, along with 22 others, in a massive blast along the city’s Corniche on Valentine’s Day. Uncertainty and terror followed Hariri’s death, as the United Nations launched a high-profile investigation while car bombs and assassinations persisted, and thousands of Lebanese took to the streets to demand the withdrawal of Syrian soldiers and security forces – and thousands of others rallied around Hizbollah and its sponsor in Damascus. 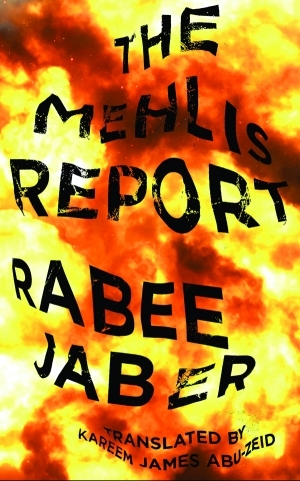 The mood and psychology of this moment in recent Lebanese history is the nominal plot of The Mehlis Report, the English-language debut of Rabee Jaber, the 2012 International Arabic Fiction Prize winner. Architect Saman Yarid wanders Beirut, investing hopes for peace and answers to his city’s turmoil on the release of the UN investigation led by the German judge Detlev Mehlis. Saman is the last member of his family left in their sprawling home in Achrafieh; his sisters have moved abroad, save for Josephine, who was kidnapped in the civil war, and never found. But his story – late nights, long walks, and different girlfriends – leads into an imaginative excavation of the city’s brutal past and present, and the toll of Lebanon’s 15-year civil war, with 150,000 dead and an estimated 17,000 missing. In Jaber’s novel, Kassir’s “inner seriousness” of Beirut is, in fact, a parallel city of the dead, where those lost in the war wander a nearly empty city, always thirsty, and sit down to write their memoirs. And the “real” Beirut in the months after Hariri’s assassination, as the translator Kareem James Abu-Zeid told an interviewer, is really that “Beirut of the dead superimposed on the Beirut of the living”. Read the rest at The National. This entry was posted in Lebanon, Literature, Writing by hiddencities. Bookmark the permalink.